UHP as a part of its initial work with the Safe Routes Clearinghouse in Miami-Dade and then its work with the Healthy Community Zones in Broward, developed the Safe Routes Florida app. 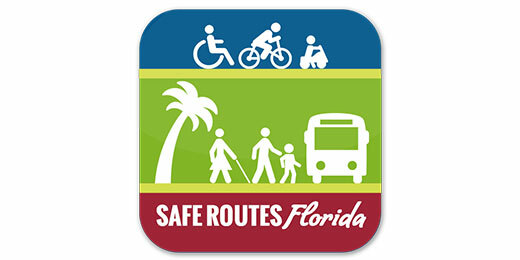 For any safety issues community members notice in and around your route to school, work or play, such as damaged street signs, blocked pedestrian walk ways and other traffic issues, the Safe Routes Florida app makes reporting a problem easier than ever. This app uses GPS to recognize the user’s location and gives the user a menu of common safety conditions to select from. The app allows community members to upload pictures to accompany the request. The mobile app can also be used for a variety of other issues such as graffiti, street maintenance, traffic lights, crosswalks, illegal parking and school signs. Residents can track the status of reports they or other members of the community have submitted. On the back end, UHP is able to pull reports and ensure issues are being directed to the correct municipal or County department, ensuring that we are working together to address community needs for improved and safer streets for all.